The McClellan Ranch garden is temporarily closed during renovation. Please check this webpage for updates in late spring, 2019. This garden trials new vegetable varieties as well as demonstrating year-round gardening in both raised and in-ground beds. 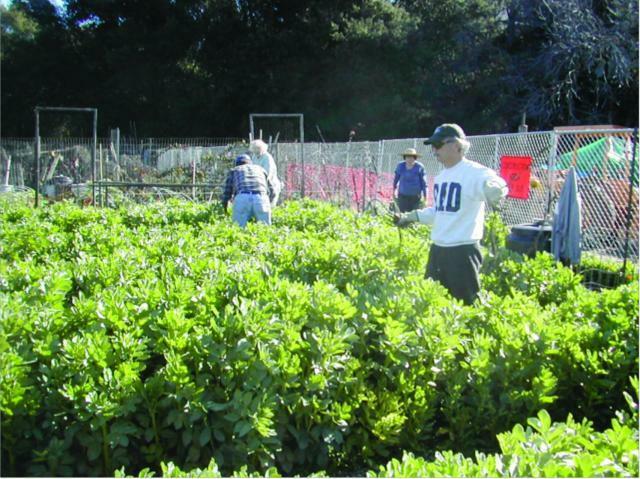 The UC Master Gardener Project at McClellan Ranch Preserve is one of the oldest demonstration garden projects in Santa Clara County. Since 1989 the focus of the project has been to trial new vegetable varieties with the objective of providing sustainable growing information for the suburban public. We use gardening best practices in accordance with the science developed by the University of California. These practices are adapted for the home gardener. Among the popular vegetables we have trialed are tomatoes, peppers, chile peppers, summer squash, eggplant, sweet potatoes, beans, corn and and several Asian vegetables. Beside the trials, we demonstrate year-round gardening in raised beds and in the ground beds. To learn about the best practice of growing and digging in a cover crop, see our how-to video Using a Cover Crop that was filmed at the McClellan Ranch Project.